We're back from another great Denver Gem and Mineral show. I even got Bob Dietrich to sign my copy of "Boneheads" by Richard Polsky. Dr. Bakker had some good input about javelinas, and we got our Bacculites jaws back from being prepared by Neal Larson. 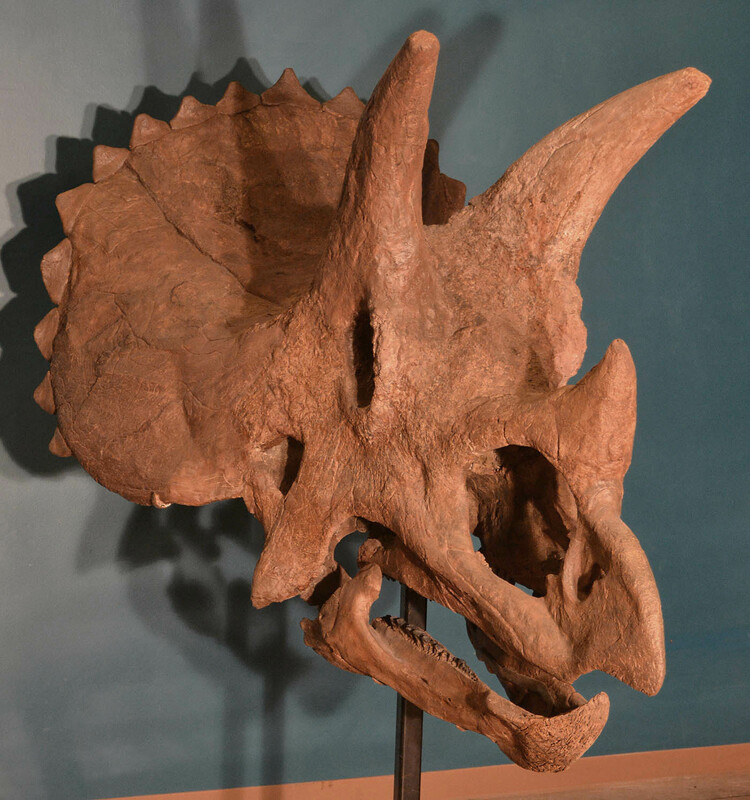 We're now back in our final push to get this giant Triceratops skull built and out of our workspace. We figure less than 3 weeks to go. All assembly is finished, save for installing the missing maxillary teeth. Steel work is also done (I incinerated 3 t-shirts during that process), all that it really left is details details details. Also painting. Today I should hopefully be finished hollowing out the ironstone from the orbits in the last bit of preparation. A month's worth of work. Also I made the table. Ok the assembly process is almost done! We've assembled almost all of the frill, a process that took me a week and a half and 100 pounds of steel. I only severely burned myself 4 or 5 times, including a big melty blob that rolled down my shoulder and back. Ouch. 7 days of constant custom steel fabrication, and still not yet done.